If you have diabetes, you are at risk for diabetic retinopathy. The condition can cause damage to the eye's delicate tissues, partial loss of vision, and even blindness. Unfortunately, diabetic retinopathy is often asymptomatic until it is in an advanced stage. Our team of doctors at Grin Eye Care can help you monitor your ocular health and catch the onset of diabetic retinopathy early to minimize vision loss. With proper preventive care, you can decrease your risk for diabetic retinopathy so you can see clearly for years to come. Contact us today to learn more about diabetic retinopathy, and schedule a consultation with one of our doctors in Olathe or Leawood. Your retina is one of the most important parts of your eye. It consists of a layer of tissue at the back of your eye that perceives light and sends signals to your brain so you can see. Diabetic retinopathy occurs when the retina’s blood vessels change, growing abnormally or swelling. This disease progresses from mild nonproliferative retinopathy, which causes tiny blood vessels to swell, to proliferative retinopathy, during which fragile, deformed blood vessels grow. These abnormal vessels are very delicate and often leak blood, which can cause severe vision loss. Blindness can also occur at the earlier stages of diabetic retinopathy if macular edema develops. In this condition, fluid from blood vessels leaks into the macula, the central region of the retina that allows you to see sharply. Both proliferative retinopathy and macular edema can develop without any symptoms and put you at very high risk for blindness. To prevent vision loss from diabetic retinopathy, it is important to carefully manage your diabetes and have your eyes checked regularly. When you come in to our office, one of our ophthalmologists or optometrists will conduct a thorough review of your medical history and medications. While your eye doctor can detect signs of uncontrolled diabetes by carefully examining your eyes, you should also work with your primary physician to monitor your disease. When you come in to Grin Eye Care, our staff will test your eyesight with a visual acuity test and verify that any eyesight prescriptions are accurate. We also recommend that you have a dilated exam every year. 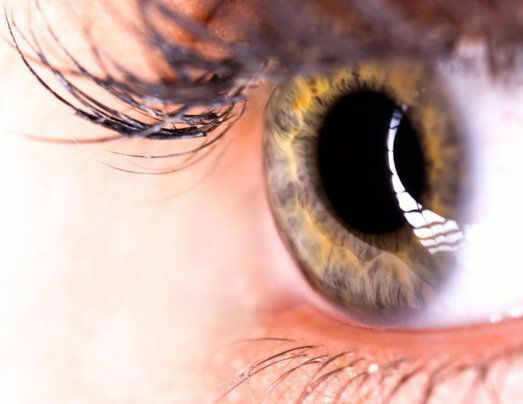 During the exam, dilating drops will be administered to widen your pupils and maximize the view of your retina. A magnifying lens will be used to check for signs of diabetic retinopathy. Common indicators include swelling, leaking blood vessels, changes on the optic nerve, fatty deposits, or any unusual changes to blood vessels. If your doctor suspects you may have diabetic retinopathy, they may also conduct further tests, such as an optical coherence tomography (OCT) examination of your retina. The OCT takes a high definition picture of the macula, which is the center of the vision, and can detect swelling or abnormal blood vessels even before they are visible to your doctor. Staying up-to-date with your exams allows us to catch the development of diabetic retinopathy in its earliest stages and optimize your treatment plan. The most important aspect of managing your disease is controlling your diabetes, which will help you protect your ocular and general health. Treatment for diabetic retinopathy depends on the severity of the disease. Depending on your specific needs, we may recommend medicated eye drops, laser treatments to seal leaking blood vessels, or intravitreal injections. For more complicated cases, we may refer you to a local retinal specialist. Monitoring your diabetes and receiving regular eye exams can help prevent vision loss due to diabetic retinopathy. Contact us today to learn more about how to manage this condition, and schedule a consultation with one of our doctors in Olathe or Leawood.